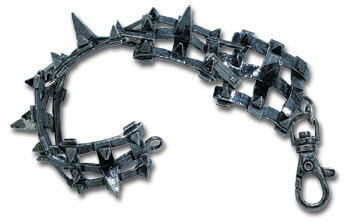 Spiky, articulated gridiron manacle pewter bracelet. Sizes: small or large. by Gothic Alchemy.